In a computer system, system resources are the components that provide its inherent capabilities and contribute to its overall performance. System memory, cache memory, hard disk space, IRQs and DMA channels are examples. System resources are shared between the different hardware components or devices of the computer system that need to communicate with CPU. The CPU is a complete computation engine that is fabricated on a single chip. 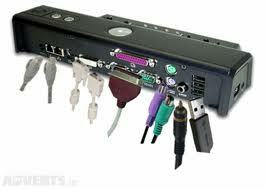 It not only controls the functions of the computer, but also handles requests from many input and output devices. The CPU is only capable of handling one request at a time. Interrupt is the procedure in which the processor suspends its main program and transfers its attention to perform a particular service such as displaying a character or sending data to a printer. OR A signal informing a program that an event has occurred. When a program receives an interrupt signal, it takes a specified action (which can be to ignore the signal). Interrupt signals can cause a program to suspend itself temporarily to service the interrupt. It completes its current instruction and suspends the main program. .It loads the contents of its internal registers into a section of memory known as the stack. It performs the task or procedure requested by the interrupt command by locating and running the particular interrupt service routine(ISR) known as the interrupt handler. When the handler program is completed, the processor reloads the registers with their original contents from the stack and resumes the main program. Software or internal(also known as an exception):These are special instructions that may arise as a result of the processor detecting a fault,e.g a floating-point error, or they may be triggered as part of a software program. Hardware or external: These invoked by a peripheral device or unit taking the interrupt request (INTR) input of the processor LOW. a) Mask able interrupt: is one that can be disabled, or masked, by instructions in the CPU. b) Non-mask able interrupt (NMI) which, once invoked, must be immediately processed by the CPU. Various hardware devices may want to tell the CPU that they have some information available that is ready for transfer. The devices indicate this by making an interrupt request, or IRQ. It is a general rule that IRQ’s cannot be shared. A device's IRQ will cause the operating system to stop momentarily as it asks the CPU to service its request. Direct Memory Access (DMA) channels allow devices to bypass the processor and directly access the computer memory. OR is the process of transferring data between memory locations and a peripheral device at a high speed without the direct intervention of the processor. DMA channels are typically used by high-speed communication devices for transferring large amounts of data at high speeds. Examples include sound cards, some network cards, some SCSI cards, some disk drives, and some tape backup drives. An I/O port number is a memory address where data is temporarily stored as it moves in and out of the devices. The I/O address is very similar to a post office box. As mail comes in, it is stored temporarily in a post office box. No two boxes can have the same number or the mail can end up in the wrong box. No two devices can have the same I/O address. 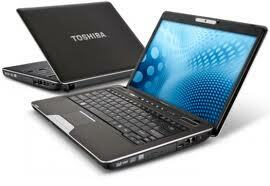 Notebook and laptop computers use non-CRT type displays, also referred to as flat panel displays. Two examples of such displays are Liquid Crystal Display (LCD) and gas-plasma panels. They are much lighter and more compact than CRT monitors. They require much less electrical energy to operate. Notebook computers incorporate the system unit, input unit, and output unit into a single, lightweight package, that can be carried around by the user. Portables are built with the intention of being lightweight and fitting within a certain size or form factor. 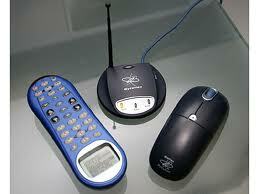 Portable devices include batteries, hard drives, PCMCIA Cards, and memory. Originally, portables used Nickel Cadmium (Ni-Cad) batteries and were in an external battery pack that would attach to the portable device. More recently, Nickel Metal-Hydride (NiMH) and Lithium-Ion batteries have been used in portable devices. These batteries usually last for a little over two hours, depending on their size and the power consumption by the device. Hard drives have been developed to be smaller and use less power to accommodate size and power limitations. A docking station is a device that can be used to allow a portable PC to use the normal hardware devices associated with desktop computers. A port replicator is similar to a docking station. It connects multiple peripherals to a notebook but it does not contain any slots for expansion, speakers or peripherals. Use the system tools on a regular basis to keep the system running smoothly. Overheating can cause the system to slow down and malfunction. Keeping the notebook cooler can be as simple as raising the notebook slightly to allow air to circulate under the computer. 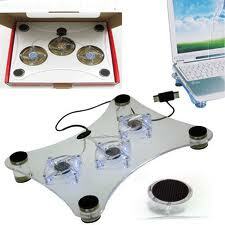 Notebook cooler pads can be purchased that utilize fans powered by the USB port help keep the notebook cool. Infrared technology, also known as Infrared Radiation (IR) is used for wireless transmission between computer devices and in remote controls for television and stereo systems. To successfully link two devices, there must be a transmitter and receiver with an unobstructed line of sight between the devices. Radio signals are used in wireless networking technologies to enable computers to broadcast their information to one another using. A wireless access point is utilized so that computers in a client/server network communicate.